Michelle Williams, I Want Her In My Band, BRAMSTOCKER, and a Dating Process! Read the whole story in the press release of my solo album, MY SINGER IS MISSING(tm). Michelle Williams, she is my William Shakespeare lady, a Punk reality of a Celebrity who deserved the Academy Award for Best Actress but there was a different choice that must be investigated. 3. I’m Gonna Lose My Job. BRAMSTOCKER AT THE ACADEMY AWARDS ALBUM (the already famous triple A) is postponed because of the crisis between Frederic Vidal and the Academy of the Motion Picture who denied (refused) his Press Pass. Silly (Frederic Vidal – ASCAP) by BRAMSTOCKER dedicated to John Boehner, the Speaker of the House of Representatives that I am inviting to support me for the organization of the Class Action against the Academy Awards (The Artist, a fake French film that is an illegal parody of muy German Spy(tm) and Michelle Williams who was denied for the Best Actress Oscar because of the British manipulation about a Shakespeare actress. HERE COMES THE NIGHT: BRAMSTOCKER. Meryl Streep who plays Margaret Thatcher in the Iron Lady is not the right choice for the Best Actress Oscar. It is the same problem than for The Artist. For the fake French film shot in Burbank, Warner, Nicolas Sarkosy, French President and François Fillon, Prime Minister used your government position to get a bunch of Awards. The same for the British leaders. Van Morrison is the famous singer of the band THEP who played with success Here Comes the Night in the 60’s. INDIAN SUMMER by FRED VIDAL, The Doors Song with BRAMSTOCKER. The SHOW MUST GO ON: Message With No Explanation By The 81st Academy Awards, CRISIS FREE By The MIRACLE/MIRAGE Of Hollywood, Fred VIDAL Regrets! The SHOW MUST GO ON: Message With No Explanation By The 81st Academy Awards, CRISIS FREE By The MIRACLE/MIRAGE Of Hollywood!! For The TV Spectators, Monday Was a REMINDER Like No One, For Us, To Wake Up after A Night Of Other Times NOSTALGIA. The Community Of MALIBU & The HOLLYWOOD HILLS Succeeded To Make us Forget The FINANCIAL CRACK And The Severe ECONOMY CRISIS For a Couple Of Hours. But This ‘ SHOW MUST GO ON’ SYSTEM Wasn’t At All A Good Medication. On Monday, after The Weekend Break, The MARKETS Said NO To The Festival of Souvenirs 90’s-2000’s Glamour On HOLLYWOOD BOULEVARD. “I Dreamt About Another Ceremony, Mixing Cinema And Solidarity, But The Reply Was: No, no, no Last Night On The Channel ABC. So, NEVER MIND THE SILENCE, HERE IS THE CRISIS AGAIN! Nobody Had A Word For The 1929 Remake VICTIMS, Even If The Oscars Were Created this Year In 1929. MOVIE FROM 1939, Capra's Masterpiece Is Not At All The Inspiration Of Today's Hollywood, 70 Years later. Congratulations To The One We Miss, HEATH LEDGER, and All The Other Winners: Celebration of The 2000’s For A Quality Ceremony With No Revelation For The 2010’s, Comments Fred Vidal, PhD. Update Day + 1: LEDGER, New James Dean?? If It’s Commercial, It’s Wrong. If it is Not, It’s wrong Too. He’s Maybe a New RUDOLPH VALENTINO, But NOT A REBEL, NOT A Symbol Of TEENAGE DEPRESSION, Or Maybe Yes, BUT NOT WITHOUT A CAUSE! DEAN Was a SOLO Type Of MOTOR-COWBOY, Part Of Of The Pre-Rock N’ Roll Attitude, Right!? BRANDO & Teams Were There With ELVIS also To Boost The 60’s Afterwards. HEATH LEDGER Was Almost ALONE In His MAGNIFIQUE Show Business CAREER Route! Let’s Celebrate Jimmy And Forget This Mistake To MARKET LEDGER Like a New Old MEMORY. He Has His Own MOVIE LEGACY To Show Us The Way HE WAS: Just a MEDIA VOYAGER, probably Now IN PEACE. Title: Congratulations To The One We Miss, HEATH LEDGER, and All The Other Winners: Celebration of The 2000’s For A Quality Ceremony With No Revelation For The 2010’s, Comments Fred Vidal, PhD. No New Name but Great Old Names, It was An Emblematic Ceremony For The last Academy Awards Of The Decade and The Only Young Talent, Unknown 10 years ago, WAS NOT THERE. Heath LEDGER must Be Proud Of This Last Victory in His Career if He listens to Us But He’s not anymore WITH Us. The other Talents were Perfect For Their Oscars BUT Something’s Strange As we Are a Little waiting for More about a New Generation. Heath Is the Symbol of it. Others will Arrive, Soon? We’ll See. Fred Vidal From NEW YORK Will Record This Week, For YouTube, Videos about The City and His Plan To Organize in Hollywood The 2010’s MOVIE AWARDS for Young Filmmakers and Stars of Tomorrow. HEATH LEDGER: A Star Is Born Too Late, But We Won't Forget! Obviously, Heath Ledger Was Scheduled To Be There, He was The 2010’s, Hollywood is probably Lost without Him to build a Future. We’ll see how Heath will Inspire a Wave of New Artists of The Screen. 1929-2009: Academy Awards Source LIFE, BACK TO THE FUTURE? Fred Vidal Diffuses The FIRST Oscar Winners LIST and Advices 1920’s Wardrobe! DOUGLAS FAIRBANKS, First PRESIDENT Of The Academy Awards, Presents!!! No Celebrities, No U.S. MONARCHY, HOLLYWOOD STARS, Movie Icons ONLY!! 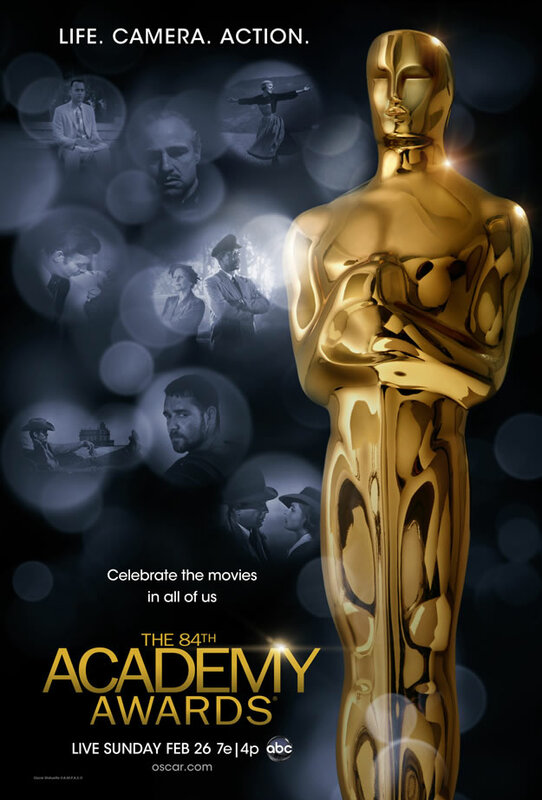 With His REX INGRAM CENTER, For The Promotion and Diffusion Of The AMERICAN SILENT MOVIES, Fred Vidal, PhD Celebrates Today The 1929 OSCARS, Academy Awards Of The Future, Because Of The Past, Waiting For the 2009 and 2010 Awards With CREATIVITY! The first Academy Awards ceremony was held on May 16, 1929. Two hundred and fifty people attended the black-tie banquet in the Blossom Room of The Hollywood Roosevelt Hotel, On Hollywood Boulevard, Hollywood, CALIFORNIA. Let’s Come back To The Origins!! The NEW FASHION, It’s THE 20’s! CLARA BOW Message To HOLLYWOOD: Ready, Steady, Go!! My UNIFORM Is My WARDROBE!! In 2010, Let’s Ask For A WEB Celebration Of The CEREMONY With a 1920’s WARDROBE For The Street Life!! 1929-2009: Academy Awards, BACK TO THE FUTURE? Fred Vidal Diffuses The FIRST Oscar Winners List! As A SOURCE LIFE!! Explanation: People are Too Often in an Artificial World. Confusion between Hollywood and The Film Industry must be studied and appreciated as a Risk of dilusional behavior. The MOVIE INDUSTRY Is Another Industry that Still works Well and Must Continue To Work well by Keeping The REALITY ON THE GROUND. The Oscars: It’s just a Selection of the Best Works of The Year. No Dream or Legend Live On Your TV Screen. It’s not Technical, It’s Cultural but Not a Film, Not a Show: A CEREMONY, word well-known For Emotions but First For ORGANIZATION. So, Let’s Appreciate, Before Tonight, THE LIST of The Definitive FIRST WINNERS. After that, This List Is Longer, and This Year is Another Line! From 1929 (year with the reputation of the American Economy Crisis) to 2009 (year that begins slowly for the Economy but surely for our INDUSTRY), and The New Design BOOM: It’s THE 1920’s, Believe It!! Best Picture, Production – Wings, directed by William A. Wellman, starring Clara Bow, Charles “Buddy” Rogers, Richard Arlen, Jobvna Ralston, El Brendel, Richard Tucker, and Gary Cooper. Best Picture, Unique and Artistic Picture – Sunrise: A Song of Two Humans, directed by German expatriate F.W. Murnau, starring George O’Brien, Janet Gaynor, Margaret Livingston and Bodil Rosing. Swiss-born Emil Jannings for two films: The Way of All Flesh (1927) and The Last Command (1928). Janet Gaynor for 3 Films : Seventh Heaven and Sunrise (1927), 1928’s Street Angel (1928). CLARA BOW: Fred VIDAL Choice To INSPIRE The 2010's!!! "1930: American screen star Clara Bow (1905 - 1965), popularly known as the 'It' girl plays Norma Martin in Paramount's comedy romance 'Her Wedding Night', directed by Frank Tuttle. (Photo by Eugene Robert Richee)". Joseph Farnham, George Marion, Jr.
Charlie Chaplin for The Circus (1928) , for “versatility and genius in acting, writing, directing and producing”. Warner Brothers for the production of The Jazz Singer in 1927, first film to use synchronized sound in a feature film. WINGS: Clara BOW Universal Breakthrough, First OSCAR FOR A FILM! FOLLOW THE TREND, BE TWITTER, READ FRED and be happy! !